GRAND CANYON, Arizona – The National Park Service will be working with cooperating agencies and partners to reduce the size of the bison herd on the north rim of Grand Canyon National Park. The herd is approximately 400 to 600 animals and will be reduced to fewer than 200 over the next three-five years, the park’s news release states. The reduction will be made through lethal culling using skilled volunteers and nonlethal capture and transfer to cooperating agencies and tribes. 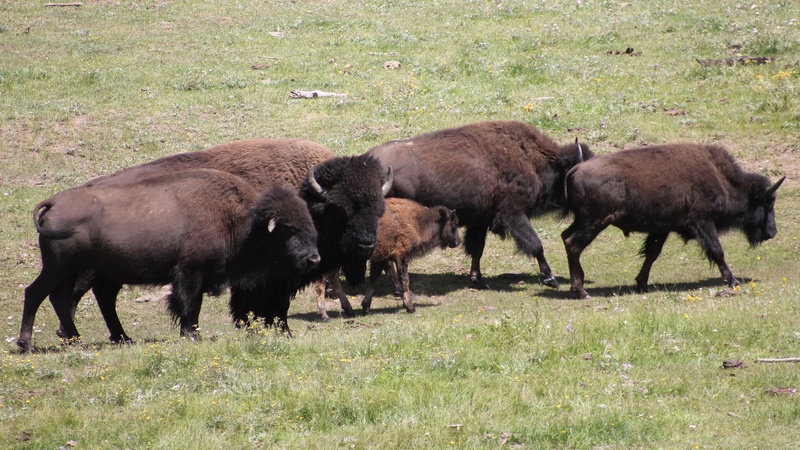 The Park Service prepared an initial bison herd reduction environmental assessment that evaluated management actions that would reduce the herd. The service’s Intermountain Regional Director Sue Masica signed a finding of no significant impact, authorizing the park to proceed with the selected action, which is designed to quickly reduce bison population density. Given the current distribution, abundance, density, and the expected growth of this herd, the Park Service is concerned about increased impacts on park resources such as water, vegetation, soils, archaeological sites, and values such as visitor experience and wilderness character, according to its news release. Reducing the herd size will protect park resources and values. Park Servicebiologists estimate the herd has grown from approximately 100 bison, brought to the House Rock Wildlife Area in the early 1900s. Though the bison roam the Kaibab Plateau, they spend most of their time on the north rim of the park. Biologists predict the herd could grow to nearly 800 in the next three years and be as large as 1,200-1,500 animals within 10 years without further management actions to control the size of the herd. An announcement of opportunities and a process for tribal members and members of the public to participate in volunteer culling will be made once operational guidelines for herd reduction are in place. The environmental assessment, finding of no significant impact and other reference documents can be found on the Park Service’s Planning Environment and Public Comment webpage. Further inquiry may be addressed to Robin Martin at telephone 928-638-7684. They are not indigenous to the area (if they were, Teddy Roosevelt would have shot them all as he did everything else) and they are not pure having been mixed with beef genes. They were part of a ranch down below and they ‘escaped’ many years ago. They need to be rounded up and given to those who can use the meat such as the native peoples. Were they born here or came through a hole in the fence. That seems to be the criteria these days. I say leave them alone. If they could vote, no one would mess with them.